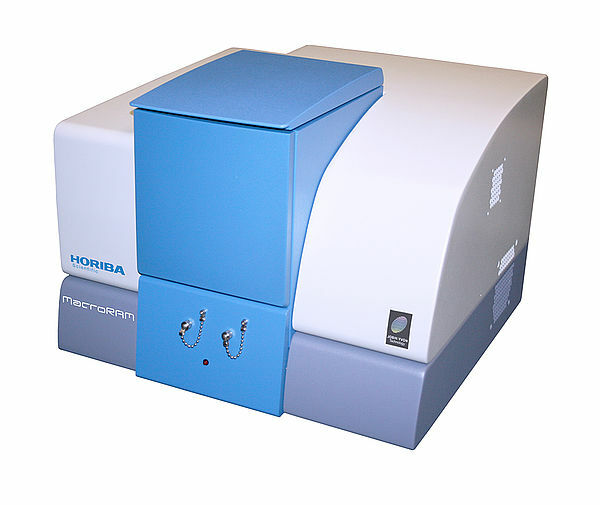 The remote fiber coupled Raman microscope from HORIBA Scientific provides a unique facility for microscopic Raman, photoluminescence (PL) and fluorescence analysis. Ideal for complementing existing instrumentation or for analysis in restricted environments such as fume cupboards and clean rooms, the fiber microscope offers full micro-analytical functions in a simple and cost effective way. Compatible with the latest generation of automated software and mapping accessories, routine Raman ´chemical´ maps , PL plots, and laser induced fluorescence images can be produced to characterize material composition and distribution. The low level entry optics on the fiber-microscope enable easy fiber or direct coupling to both spectrometer and laser sources. When combined with longer focal length spectrometers, the potential for high resolution Raman and photo luminescence (PL) microscopy is impressive. 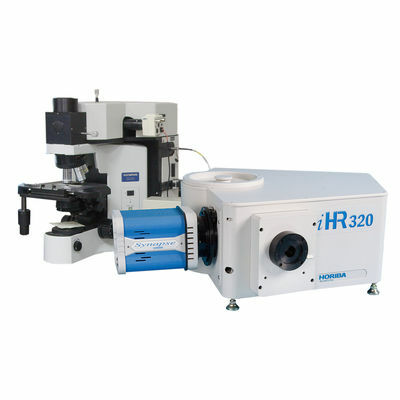 Horiba Scientific’s confocal Raman microscope is coupled via two optical cables to the base iHR spectrometer and to the laser source. The microscope system offers true micro-Raman capabilities and incorporates our novel interchangeable notch filter system, adjustable confocal aperture and options for automated Raman mapped imaging. 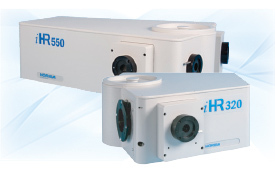 An integrated color video camera offers easy sample alignment and digital image capture. 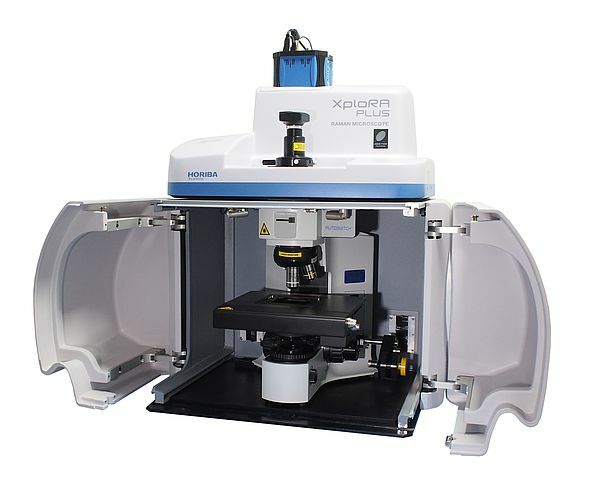 The modular Raman microscope is available with a choice of three laser wavelengths; 532 nm, 632.8 nm, and 785 nm. 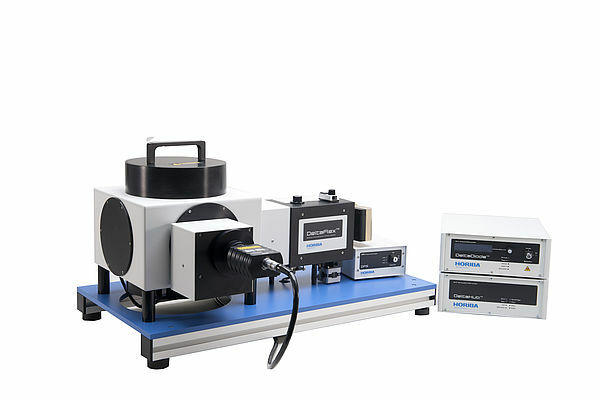 A range of spectrometers are available for integrating into your own Raman experiment, with focal lengths and resolutions to suit all requirements – ranging from 140 mm to 550 mm and above. 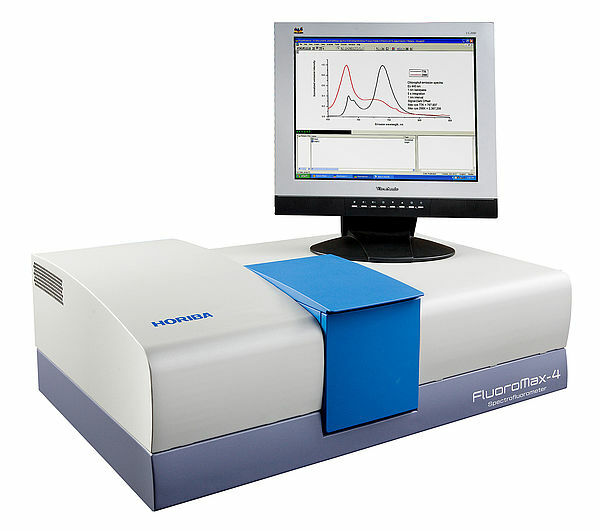 Whether the application is for routine screening, fluorescence and PL mapping, or detailed high resolution Raman research, the spectrometer to match is available. A range of detectors are available for integrating into your own Raman experiment, with different chip architectures and various degrees of cooling to suit all requirements. 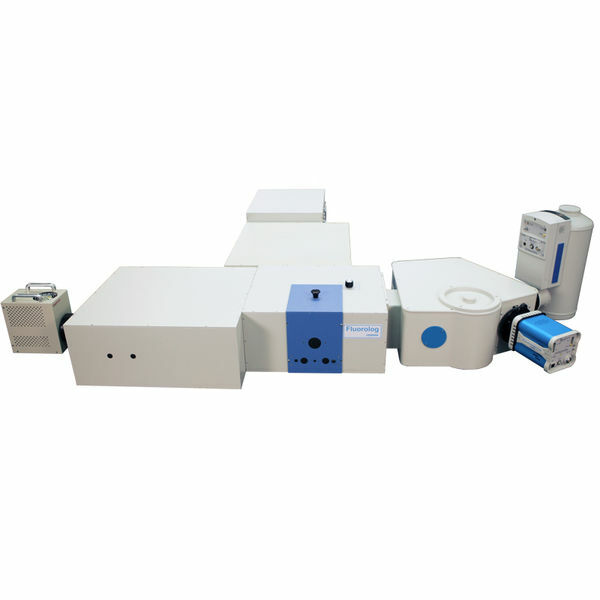 Whether the application is for rapid measurements or very weak Raman scattering samples, there is a detector to match. 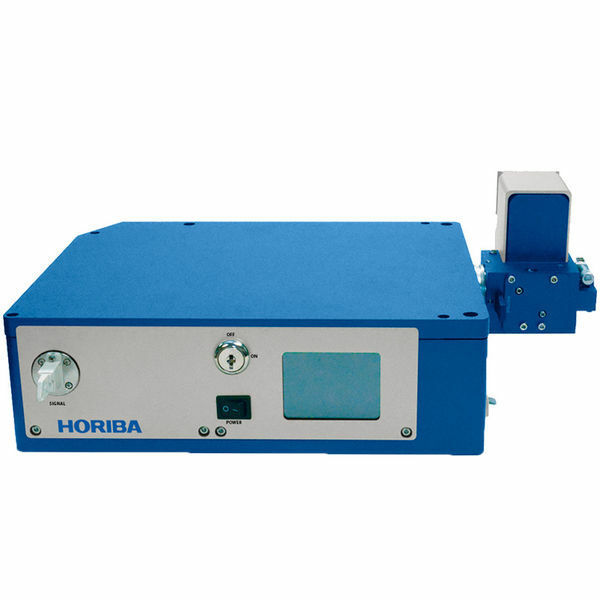 Horiba Jobin Yvon’s modular Raman systems are compatible with the wide range of Superhead fibre-optic Raman probes. They offer robust remote and in-situ sampling capabilities ideal for reaction monitoring, restricted environments (glove boxes), and for portable sampling requirements. They can be supplied with immersion optics, non-contact optics and even with an integrated video camera for capturing sample images. 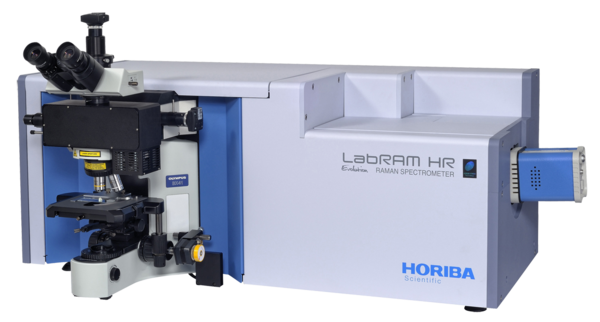 The LabSpec6 spectral software suite used on all the HORIBA Jobin Yvon analytical and research Raman spectrometer systems is now also available for modular Raman systems. 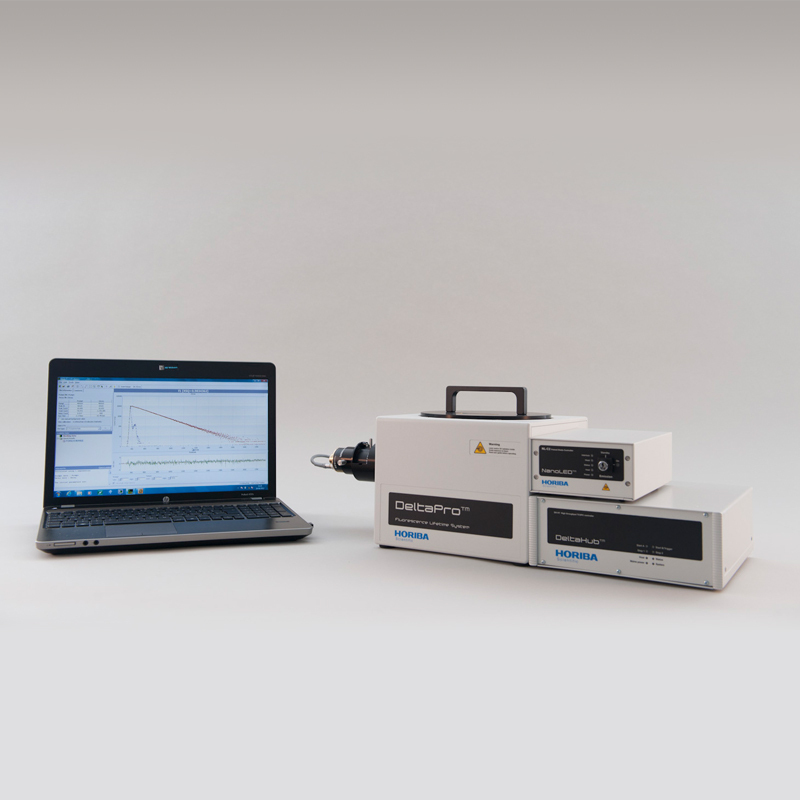 It has been designed and written as a dedicated Raman spectroscopy package and offers many powerful capabilities not found in a basic spectroscopy software. With a sample capacity of 20 μL, this non-fluorescing fused silica cell is ideal for on-line monitoring of Raman samples. The cell maintains high sensitivity because it has a large aperture for collecting the excitation light to the sample and spontaneous Raman emission from the sample. The flat sides allow maximum throughput while keeping the scattering of the incident radiation to a minimum. The cell fits in a standard cell holder. With a 4-mL volume, this cell measures 10 mm × 10 mm in cross-section, and comes with a Teflon® stopper to contain volatile liquids. This 2-mL to 4-mL non-fluorescing fused silica cell can accept a magnetic stirrer, has a 10-mm path length, and includes a white Teflon® cap that prevents sample evaporation. The FL-1027 Single-Position Thermostatted Cell Holder keeps a sample at a constant temperature from ‑20°C to +80°C. The temperature is maintained by an ethylene glycol-water mixture pumped through an external circulating temperature bath (not included). The holder also includes a magnetic stirrer, enabling mixing of turbid or viscous samples. Also required is the FM-2003 Sample Compartment Accessory. The J1933 Solid Sample Holder is designed for samples such as thin films, powders, pellets, microscope slides, and fibers. The holder consists of a base with a dial indicating angle of rotation, upon which a bracket, a spring clip, and a sample block rest. The SuperHead is a high efficiency remote Raman probe which enables in situ non-invasive chemical analysis to be undertaken. 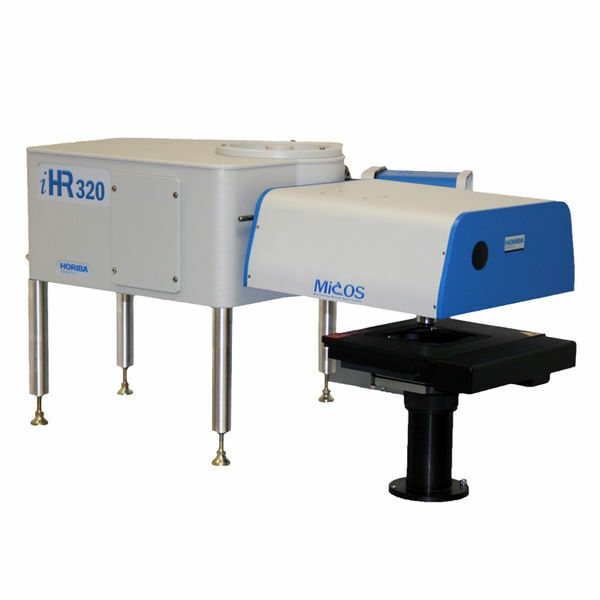 The purpose of the SuperHead is to efficiently deliver the laser beam to the sample material, and to collect and filter the returning Raman signal. The SuperHead uses a single FC/PC terminated fiber for delivering the laser excitation and another FC/PC terminated fiber for signal collection. 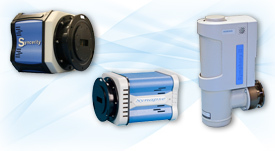 High efficiency filters incorporated within the probe provide effective laser and Raman filtering. The SuperHead can perform measurements in a non-contact / non-invasive mode or in an immersion mode, using specific accessories. *Spectral Range is based on the edge or notch filter’s ability to reject the laser line and the usable spectral range of the CCD.